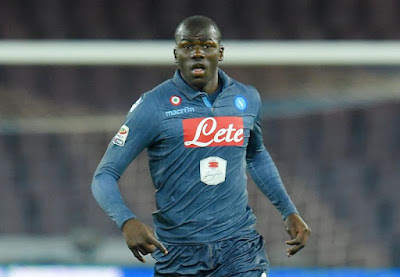 Napoli and Senegal defender Kalidou Koulibaly remains a transfer target for Chelsea, according to Gazzetta dello Sport. The Blues attempted to sign the Teranga Lions centre-back during the last transfer window and will look to try and land him in the New Year. Chelsea boss Antonio Conte remains a big admirer of the West African, who continues to perform strongly for the Serie A side. However, Gazzetta adds that the player is happy in Italy and has no desire to move, while the club will also look to retain his services. The defender is contracted at the Stadio San Paulo until 2021. Koulibaly has appeared in all 14 of Napoli’s Serie A matches so far this season.